Unknown: preg_replace(): The /e modifier is deprecated, use preg_replace_callback instead in /home/paris/domains/parisut.com/public_html/shoponline/vqmod/vqmod.php on line 329Unknown: preg_replace(): The /e modifier is deprecated, use preg_replace_callback instead in /home/paris/domains/parisut.com/public_html/shoponline/vqmod/vqmod.php on line 329Unknown: preg_replace(): The /e modifier is deprecated, use preg_replace_callback instead in /home/paris/domains/parisut.com/public_html/shoponline/vqmod/vqmod.php on line 329Unknown: preg_replace(): The /e modifier is deprecated, use preg_replace_callback instead in /home/paris/domains/parisut.com/public_html/shoponline/vqmod/vqmod.php on line 329Unknown: preg_replace(): The /e modifier is deprecated, use preg_replace_callback instead in /home/paris/domains/parisut.com/public_html/shoponline/vqmod/vqmod.php on line 329Unknown: preg_replace(): The /e modifier is deprecated, use preg_replace_callback instead in /home/paris/domains/parisut.com/public_html/shoponline/vqmod/vqmod.php on line 329Unknown: preg_replace(): The /e modifier is deprecated, use preg_replace_callback instead in /home/paris/domains/parisut.com/public_html/shoponline/vqmod/vqmod.php on line 329Unknown: preg_replace(): The /e modifier is deprecated, use preg_replace_callback instead in /home/paris/domains/parisut.com/public_html/shoponline/vqmod/vqmod.php on line 329Unknown: preg_replace(): The /e modifier is deprecated, use preg_replace_callback instead in /home/paris/domains/parisut.com/public_html/shoponline/vqmod/vqmod.php on line 329Unknown: preg_replace(): The /e modifier is deprecated, use preg_replace_callback instead in /home/paris/domains/parisut.com/public_html/shoponline/vqmod/vqmod.php on line 329Unknown: preg_replace(): The /e modifier is deprecated, use preg_replace_callback instead in /home/paris/domains/parisut.com/public_html/shoponline/vqmod/vqmod.php on line 329Unknown: preg_replace(): The /e modifier is deprecated, use preg_replace_callback instead in /home/paris/domains/parisut.com/public_html/shoponline/vqmod/vqmod.php on line 329Unknown: preg_replace(): The /e modifier is deprecated, use preg_replace_callback instead in /home/paris/domains/parisut.com/public_html/shoponline/vqmod/vqmod.php on line 329Unknown: preg_replace(): The /e modifier is deprecated, use preg_replace_callback instead in /home/paris/domains/parisut.com/public_html/shoponline/vqmod/vqmod.php on line 329Unknown: preg_replace(): The /e modifier is deprecated, use preg_replace_callback instead in /home/paris/domains/parisut.com/public_html/shoponline/vqmod/vqmod.php on line 329Unknown: preg_replace(): The /e modifier is deprecated, use preg_replace_callback instead in /home/paris/domains/parisut.com/public_html/shoponline/vqmod/vqmod.php on line 329Unknown: preg_replace(): The /e modifier is deprecated, use preg_replace_callback instead in /home/paris/domains/parisut.com/public_html/shoponline/vqmod/vqmod.php on line 329Unknown: preg_replace(): The /e modifier is deprecated, use preg_replace_callback instead in /home/paris/domains/parisut.com/public_html/shoponline/vqmod/vqmod.php on line 329Unknown: preg_replace(): The /e modifier is deprecated, use preg_replace_callback instead in /home/paris/domains/parisut.com/public_html/shoponline/vqmod/vqmod.php on line 329Unknown: preg_replace(): The /e modifier is deprecated, use preg_replace_callback instead in /home/paris/domains/parisut.com/public_html/shoponline/vqmod/vqmod.php on line 329Unknown: preg_replace(): The /e modifier is deprecated, use preg_replace_callback instead in /home/paris/domains/parisut.com/public_html/shoponline/vqmod/vqmod.php on line 329Unknown: preg_replace(): The /e modifier is deprecated, use preg_replace_callback instead in /home/paris/domains/parisut.com/public_html/shoponline/vqmod/vqmod.php on line 329Unknown: preg_replace(): The /e modifier is deprecated, use preg_replace_callback instead in /home/paris/domains/parisut.com/public_html/shoponline/vqmod/vqmod.php on line 329Unknown: preg_replace(): The /e modifier is deprecated, use preg_replace_callback instead in /home/paris/domains/parisut.com/public_html/shoponline/vqmod/vqmod.php on line 329Unknown: preg_replace(): The /e modifier is deprecated, use preg_replace_callback instead in /home/paris/domains/parisut.com/public_html/shoponline/vqmod/vqmod.php on line 329Unknown: preg_replace(): The /e modifier is deprecated, use preg_replace_callback instead in /home/paris/domains/parisut.com/public_html/shoponline/vqmod/vqmod.php on line 329Unknown: preg_replace(): The /e modifier is deprecated, use preg_replace_callback instead in /home/paris/domains/parisut.com/public_html/shoponline/vqmod/vqmod.php on line 329Unknown: preg_replace(): The /e modifier is deprecated, use preg_replace_callback instead in /home/paris/domains/parisut.com/public_html/shoponline/vqmod/vqmod.php on line 329Unknown: preg_replace(): The /e modifier is deprecated, use preg_replace_callback instead in /home/paris/domains/parisut.com/public_html/shoponline/vqmod/vqmod.php on line 329Unknown: preg_replace(): The /e modifier is deprecated, use preg_replace_callback instead in /home/paris/domains/parisut.com/public_html/shoponline/vqmod/vqmod.php on line 329Unknown: preg_replace(): The /e modifier is deprecated, use preg_replace_callback instead in /home/paris/domains/parisut.com/public_html/shoponline/vqmod/vqmod.php on line 329Unknown: preg_replace(): The /e modifier is deprecated, use preg_replace_callback instead in /home/paris/domains/parisut.com/public_html/shoponline/vqmod/vqmod.php on line 329Unknown: preg_replace(): The /e modifier is deprecated, use preg_replace_callback instead in /home/paris/domains/parisut.com/public_html/shoponline/vqmod/vqmod.php on line 329Unknown: preg_replace(): The /e modifier is deprecated, use preg_replace_callback instead in /home/paris/domains/parisut.com/public_html/shoponline/vqmod/vqmod.php on line 329Unknown: preg_replace(): The /e modifier is deprecated, use preg_replace_callback instead in /home/paris/domains/parisut.com/public_html/shoponline/vqmod/vqmod.php on line 329Unknown: preg_replace(): The /e modifier is deprecated, use preg_replace_callback instead in /home/paris/domains/parisut.com/public_html/shoponline/vqmod/vqmod.php on line 329Unknown: preg_replace(): The /e modifier is deprecated, use preg_replace_callback instead in /home/paris/domains/parisut.com/public_html/shoponline/vqmod/vqmod.php on line 329Unknown: preg_replace(): The /e modifier is deprecated, use preg_replace_callback instead in /home/paris/domains/parisut.com/public_html/shoponline/vqmod/vqmod.php on line 329Unknown: preg_replace(): The /e modifier is deprecated, use preg_replace_callback instead in /home/paris/domains/parisut.com/public_html/shoponline/vqmod/vqmod.php on line 329Unknown: preg_replace(): The /e modifier is deprecated, use preg_replace_callback instead in /home/paris/domains/parisut.com/public_html/shoponline/vqmod/vqmod.php on line 329Unknown: preg_replace(): The /e modifier is deprecated, use preg_replace_callback instead in /home/paris/domains/parisut.com/public_html/shoponline/vqmod/vqmod.php on line 329Unknown: preg_replace(): The /e modifier is deprecated, use preg_replace_callback instead in /home/paris/domains/parisut.com/public_html/shoponline/vqmod/vqmod.php on line 329Unknown: preg_replace(): The /e modifier is deprecated, use preg_replace_callback instead in /home/paris/domains/parisut.com/public_html/shoponline/vqmod/vqmod.php on line 329Unknown: preg_replace(): The /e modifier is deprecated, use preg_replace_callback instead in /home/paris/domains/parisut.com/public_html/shoponline/vqmod/vqmod.php on line 329Unknown: preg_replace(): The /e modifier is deprecated, use preg_replace_callback instead in /home/paris/domains/parisut.com/public_html/shoponline/vqmod/vqmod.php on line 329Unknown: preg_replace(): The /e modifier is deprecated, use preg_replace_callback instead in /home/paris/domains/parisut.com/public_html/shoponline/vqmod/vqmod.php on line 329Unknown: preg_replace(): The /e modifier is deprecated, use preg_replace_callback instead in /home/paris/domains/parisut.com/public_html/shoponline/vqmod/vqmod.php on line 329Unknown: preg_replace(): The /e modifier is deprecated, use preg_replace_callback instead in /home/paris/domains/parisut.com/public_html/shoponline/vqmod/vqmod.php on line 329Unknown: preg_replace(): The /e modifier is deprecated, use preg_replace_callback instead in /home/paris/domains/parisut.com/public_html/shoponline/vqmod/vqmod.php on line 329Unknown: preg_replace(): The /e modifier is deprecated, use preg_replace_callback instead in /home/paris/domains/parisut.com/public_html/shoponline/vqmod/vqmod.php on line 329Unknown: preg_replace(): The /e modifier is deprecated, use preg_replace_callback instead in /home/paris/domains/parisut.com/public_html/shoponline/vqmod/vqmod.php on line 329Unknown: preg_replace(): The /e modifier is deprecated, use preg_replace_callback instead in /home/paris/domains/parisut.com/public_html/shoponline/vqmod/vqmod.php on line 329Unknown: preg_replace(): The /e modifier is deprecated, use preg_replace_callback instead in /home/paris/domains/parisut.com/public_html/shoponline/vqmod/vqmod.php on line 329Unknown: preg_replace(): The /e modifier is deprecated, use preg_replace_callback instead in /home/paris/domains/parisut.com/public_html/shoponline/vqmod/vqmod.php on line 329Unknown: preg_replace(): The /e modifier is deprecated, use preg_replace_callback instead in /home/paris/domains/parisut.com/public_html/shoponline/vqmod/vqmod.php on line 329Unknown: preg_replace(): The /e modifier is deprecated, use preg_replace_callback instead in /home/paris/domains/parisut.com/public_html/shoponline/vqmod/vqmod.php on line 329Unknown: preg_replace(): The /e modifier is deprecated, use preg_replace_callback instead in /home/paris/domains/parisut.com/public_html/shoponline/vqmod/vqmod.php on line 329Unknown: preg_replace(): The /e modifier is deprecated, use preg_replace_callback instead in /home/paris/domains/parisut.com/public_html/shoponline/vqmod/vqmod.php on line 329Unknown: preg_replace(): The /e modifier is deprecated, use preg_replace_callback instead in /home/paris/domains/parisut.com/public_html/shoponline/vqmod/vqmod.php on line 329Unknown: preg_replace(): The /e modifier is deprecated, use preg_replace_callback instead in /home/paris/domains/parisut.com/public_html/shoponline/vqmod/vqmod.php on line 329Unknown: preg_replace(): The /e modifier is deprecated, use preg_replace_callback instead in /home/paris/domains/parisut.com/public_html/shoponline/vqmod/vqmod.php on line 329Unknown: preg_replace(): The /e modifier is deprecated, use preg_replace_callback instead in /home/paris/domains/parisut.com/public_html/shoponline/vqmod/vqmod.php on line 329Unknown: preg_replace(): The /e modifier is deprecated, use preg_replace_callback instead in /home/paris/domains/parisut.com/public_html/shoponline/vqmod/vqmod.php on line 329Unknown: preg_replace(): The /e modifier is deprecated, use preg_replace_callback instead in /home/paris/domains/parisut.com/public_html/shoponline/vqmod/vqmod.php on line 329Unknown: preg_replace(): The /e modifier is deprecated, use preg_replace_callback instead in /home/paris/domains/parisut.com/public_html/shoponline/vqmod/vqmod.php on line 329Unknown: preg_replace(): The /e modifier is deprecated, use preg_replace_callback instead in /home/paris/domains/parisut.com/public_html/shoponline/vqmod/vqmod.php on line 329Unknown: preg_replace(): The /e modifier is deprecated, use preg_replace_callback instead in /home/paris/domains/parisut.com/public_html/shoponline/vqmod/vqmod.php on line 329Unknown: preg_replace(): The /e modifier is deprecated, use preg_replace_callback instead in /home/paris/domains/parisut.com/public_html/shoponline/vqmod/vqmod.php on line 329Unknown: preg_replace(): The /e modifier is deprecated, use preg_replace_callback instead in /home/paris/domains/parisut.com/public_html/shoponline/vqmod/vqmod.php on line 329Unknown: preg_replace(): The /e modifier is deprecated, use preg_replace_callback instead in /home/paris/domains/parisut.com/public_html/shoponline/vqmod/vqmod.php on line 329Unknown: preg_replace(): The /e modifier is deprecated, use preg_replace_callback instead in /home/paris/domains/parisut.com/public_html/shoponline/vqmod/vqmod.php on line 329Unknown: preg_replace(): The /e modifier is deprecated, use preg_replace_callback instead in /home/paris/domains/parisut.com/public_html/shoponline/vqmod/vqmod.php on line 329Unknown: preg_replace(): The /e modifier is deprecated, use preg_replace_callback instead in /home/paris/domains/parisut.com/public_html/shoponline/vqmod/vqmod.php on line 329Unknown: preg_replace(): The /e modifier is deprecated, use preg_replace_callback instead in /home/paris/domains/parisut.com/public_html/shoponline/vqmod/vqmod.php on line 329Unknown: preg_replace(): The /e modifier is deprecated, use preg_replace_callback instead in /home/paris/domains/parisut.com/public_html/shoponline/vqmod/vqmod.php on line 329Unknown: preg_replace(): The /e modifier is deprecated, use preg_replace_callback instead in /home/paris/domains/parisut.com/public_html/shoponline/vqmod/vqmod.php on line 329Unknown: preg_replace(): The /e modifier is deprecated, use preg_replace_callback instead in /home/paris/domains/parisut.com/public_html/shoponline/vqmod/vqmod.php on line 329Unknown: preg_replace(): The /e modifier is deprecated, use preg_replace_callback instead in /home/paris/domains/parisut.com/public_html/shoponline/vqmod/vqmod.php on line 329Unknown: preg_replace(): The /e modifier is deprecated, use preg_replace_callback instead in /home/paris/domains/parisut.com/public_html/shoponline/vqmod/vqmod.php on line 329Unknown: preg_replace(): The /e modifier is deprecated, use preg_replace_callback instead in /home/paris/domains/parisut.com/public_html/shoponline/vqmod/vqmod.php on line 329Unknown: preg_replace(): The /e modifier is deprecated, use preg_replace_callback instead in /home/paris/domains/parisut.com/public_html/shoponline/vqmod/vqmod.php on line 329Unknown: preg_replace(): The /e modifier is deprecated, use preg_replace_callback instead in /home/paris/domains/parisut.com/public_html/shoponline/vqmod/vqmod.php on line 329Unknown: preg_replace(): The /e modifier is deprecated, use preg_replace_callback instead in /home/paris/domains/parisut.com/public_html/shoponline/vqmod/vqmod.php on line 329Unknown: preg_replace(): The /e modifier is deprecated, use preg_replace_callback instead in /home/paris/domains/parisut.com/public_html/shoponline/vqmod/vqmod.php on line 329Unknown: preg_replace(): The /e modifier is deprecated, use preg_replace_callback instead in /home/paris/domains/parisut.com/public_html/shoponline/vqmod/vqmod.php on line 329Unknown: preg_replace(): The /e modifier is deprecated, use preg_replace_callback instead in /home/paris/domains/parisut.com/public_html/shoponline/vqmod/vqmod.php on line 329Unknown: preg_replace(): The /e modifier is deprecated, use preg_replace_callback instead in /home/paris/domains/parisut.com/public_html/shoponline/vqmod/vqmod.php on line 329Unknown: preg_replace(): The /e modifier is deprecated, use preg_replace_callback instead in /home/paris/domains/parisut.com/public_html/shoponline/vqmod/vqmod.php on line 329Unknown: preg_replace(): The /e modifier is deprecated, use preg_replace_callback instead in /home/paris/domains/parisut.com/public_html/shoponline/vqmod/vqmod.php on line 329Unknown: preg_replace(): The /e modifier is deprecated, use preg_replace_callback instead in /home/paris/domains/parisut.com/public_html/shoponline/vqmod/vqmod.php on line 329Unknown: preg_replace(): The /e modifier is deprecated, use preg_replace_callback instead in /home/paris/domains/parisut.com/public_html/shoponline/vqmod/vqmod.php on line 329Unknown: preg_replace(): The /e modifier is deprecated, use preg_replace_callback instead in /home/paris/domains/parisut.com/public_html/shoponline/vqmod/vqmod.php on line 329Unknown: preg_replace(): The /e modifier is deprecated, use preg_replace_callback instead in /home/paris/domains/parisut.com/public_html/shoponline/vqmod/vqmod.php on line 329Unknown: preg_replace(): The /e modifier is deprecated, use preg_replace_callback instead in /home/paris/domains/parisut.com/public_html/shoponline/vqmod/vqmod.php on line 329Unknown: preg_replace(): The /e modifier is deprecated, use preg_replace_callback instead in /home/paris/domains/parisut.com/public_html/shoponline/vqmod/vqmod.php on line 329Unknown: preg_replace(): The /e modifier is deprecated, use preg_replace_callback instead in /home/paris/domains/parisut.com/public_html/shoponline/vqmod/vqmod.php on line 329Unknown: preg_replace(): The /e modifier is deprecated, use preg_replace_callback instead in /home/paris/domains/parisut.com/public_html/shoponline/vqmod/vqmod.php on line 329Unknown: preg_replace(): The /e modifier is deprecated, use preg_replace_callback instead in /home/paris/domains/parisut.com/public_html/shoponline/vqmod/vqmod.php on line 329Unknown: preg_replace(): The /e modifier is deprecated, use preg_replace_callback instead in /home/paris/domains/parisut.com/public_html/shoponline/vqmod/vqmod.php on line 329Unknown: preg_replace(): The /e modifier is deprecated, use preg_replace_callback instead in /home/paris/domains/parisut.com/public_html/shoponline/vqmod/vqmod.php on line 329Unknown: preg_replace(): The /e modifier is deprecated, use preg_replace_callback instead in /home/paris/domains/parisut.com/public_html/shoponline/vqmod/vqmod.php on line 329Unknown: preg_replace(): The /e modifier is deprecated, use preg_replace_callback instead in /home/paris/domains/parisut.com/public_html/shoponline/vqmod/vqmod.php on line 329Unknown: preg_replace(): The /e modifier is deprecated, use preg_replace_callback instead in /home/paris/domains/parisut.com/public_html/shoponline/vqmod/vqmod.php on line 329Unknown: preg_replace(): The /e modifier is deprecated, use preg_replace_callback instead in /home/paris/domains/parisut.com/public_html/shoponline/vqmod/vqmod.php on line 329Unknown: preg_replace(): The /e modifier is deprecated, use preg_replace_callback instead in /home/paris/domains/parisut.com/public_html/shoponline/vqmod/vqmod.php on line 329Unknown: preg_replace(): The /e modifier is deprecated, use preg_replace_callback instead in /home/paris/domains/parisut.com/public_html/shoponline/vqmod/vqmod.php on line 329Unknown: preg_replace(): The /e modifier is deprecated, use preg_replace_callback instead in /home/paris/domains/parisut.com/public_html/shoponline/vqmod/vqmod.php on line 329Unknown: preg_replace(): The /e modifier is deprecated, use preg_replace_callback instead in /home/paris/domains/parisut.com/public_html/shoponline/vqmod/vqmod.php on line 329Unknown: preg_replace(): The /e modifier is deprecated, use preg_replace_callback instead in /home/paris/domains/parisut.com/public_html/shoponline/vqmod/vqmod.php on line 329Unknown: preg_replace(): The /e modifier is deprecated, use preg_replace_callback instead in /home/paris/domains/parisut.com/public_html/shoponline/vqmod/vqmod.php on line 329Unknown: preg_replace(): The /e modifier is deprecated, use preg_replace_callback instead in /home/paris/domains/parisut.com/public_html/shoponline/vqmod/vqmod.php on line 329Unknown: preg_replace(): The /e modifier is deprecated, use preg_replace_callback instead in /home/paris/domains/parisut.com/public_html/shoponline/vqmod/vqmod.php on line 329Unknown: preg_replace(): The /e modifier is deprecated, use preg_replace_callback instead in /home/paris/domains/parisut.com/public_html/shoponline/vqmod/vqmod.php on line 329Unknown: preg_replace(): The /e modifier is deprecated, use preg_replace_callback instead in /home/paris/domains/parisut.com/public_html/shoponline/vqmod/vqmod.php on line 329Unknown: preg_replace(): The /e modifier is deprecated, use preg_replace_callback instead in /home/paris/domains/parisut.com/public_html/shoponline/vqmod/vqmod.php on line 329Unknown: preg_replace(): The /e modifier is deprecated, use preg_replace_callback instead in /home/paris/domains/parisut.com/public_html/shoponline/vqmod/vqmod.php on line 329Unknown: preg_replace(): The /e modifier is deprecated, use preg_replace_callback instead in /home/paris/domains/parisut.com/public_html/shoponline/vqmod/vqmod.php on line 329Unknown: preg_replace(): The /e modifier is deprecated, use preg_replace_callback instead in /home/paris/domains/parisut.com/public_html/shoponline/vqmod/vqmod.php on line 329Unknown: preg_replace(): The /e modifier is deprecated, use preg_replace_callback instead in /home/paris/domains/parisut.com/public_html/shoponline/vqmod/vqmod.php on line 329Unknown: preg_replace(): The /e modifier is deprecated, use preg_replace_callback instead in /home/paris/domains/parisut.com/public_html/shoponline/vqmod/vqmod.php on line 329Unknown: preg_replace(): The /e modifier is deprecated, use preg_replace_callback instead in /home/paris/domains/parisut.com/public_html/shoponline/vqmod/vqmod.php on line 329Unknown: preg_replace(): The /e modifier is deprecated, use preg_replace_callback instead in /home/paris/domains/parisut.com/public_html/shoponline/vqmod/vqmod.php on line 329Unknown: preg_replace(): The /e modifier is deprecated, use preg_replace_callback instead in /home/paris/domains/parisut.com/public_html/shoponline/vqmod/vqmod.php on line 329Unknown: preg_replace(): The /e modifier is deprecated, use preg_replace_callback instead in /home/paris/domains/parisut.com/public_html/shoponline/vqmod/vqmod.php on line 329Unknown: preg_replace(): The /e modifier is deprecated, use preg_replace_callback instead in /home/paris/domains/parisut.com/public_html/shoponline/vqmod/vqmod.php on line 329Unknown: preg_replace(): The /e modifier is deprecated, use preg_replace_callback instead in /home/paris/domains/parisut.com/public_html/shoponline/vqmod/vqmod.php on line 329Unknown: preg_replace(): The /e modifier is deprecated, use preg_replace_callback instead in /home/paris/domains/parisut.com/public_html/shoponline/vqmod/vqmod.php on line 329Unknown: preg_replace(): The /e modifier is deprecated, use preg_replace_callback instead in /home/paris/domains/parisut.com/public_html/shoponline/vqmod/vqmod.php on line 329Unknown: preg_replace(): The /e modifier is deprecated, use preg_replace_callback instead in /home/paris/domains/parisut.com/public_html/shoponline/vqmod/vqmod.php on line 329Unknown: preg_replace(): The /e modifier is deprecated, use preg_replace_callback instead in /home/paris/domains/parisut.com/public_html/shoponline/vqmod/vqmod.php on line 329Unknown: preg_replace(): The /e modifier is deprecated, use preg_replace_callback instead in /home/paris/domains/parisut.com/public_html/shoponline/vqmod/vqmod.php on line 329Unknown: preg_replace(): The /e modifier is deprecated, use preg_replace_callback instead in /home/paris/domains/parisut.com/public_html/shoponline/vqmod/vqmod.php on line 329Unknown: preg_replace(): The /e modifier is deprecated, use preg_replace_callback instead in /home/paris/domains/parisut.com/public_html/shoponline/vqmod/vqmod.php on line 329Unknown: preg_replace(): The /e modifier is deprecated, use preg_replace_callback instead in /home/paris/domains/parisut.com/public_html/shoponline/vqmod/vqmod.php on line 329Unknown: preg_replace(): The /e modifier is deprecated, use preg_replace_callback instead in /home/paris/domains/parisut.com/public_html/shoponline/vqmod/vqmod.php on line 329Unknown: preg_replace(): The /e modifier is deprecated, use preg_replace_callback instead in /home/paris/domains/parisut.com/public_html/shoponline/vqmod/vqmod.php on line 329Unknown: preg_replace(): The /e modifier is deprecated, use preg_replace_callback instead in /home/paris/domains/parisut.com/public_html/shoponline/vqmod/vqmod.php on line 329Unknown: preg_replace(): The /e modifier is deprecated, use preg_replace_callback instead in /home/paris/domains/parisut.com/public_html/shoponline/vqmod/vqmod.php on line 329Unknown: preg_replace(): The /e modifier is deprecated, use preg_replace_callback instead in /home/paris/domains/parisut.com/public_html/shoponline/vqmod/vqmod.php on line 329Unknown: preg_replace(): The /e modifier is deprecated, use preg_replace_callback instead in /home/paris/domains/parisut.com/public_html/shoponline/vqmod/vqmod.php on line 329Unknown: preg_replace(): The /e modifier is deprecated, use preg_replace_callback instead in /home/paris/domains/parisut.com/public_html/shoponline/vqmod/vqmod.php on line 329Unknown: preg_replace(): The /e modifier is deprecated, use preg_replace_callback instead in /home/paris/domains/parisut.com/public_html/shoponline/vqmod/vqmod.php on line 329Unknown: preg_replace(): The /e modifier is deprecated, use preg_replace_callback instead in /home/paris/domains/parisut.com/public_html/shoponline/vqmod/vqmod.php on line 329Unknown: preg_replace(): The /e modifier is deprecated, use preg_replace_callback instead in /home/paris/domains/parisut.com/public_html/shoponline/vqmod/vqmod.php on line 329Unknown: preg_replace(): The /e modifier is deprecated, use preg_replace_callback instead in /home/paris/domains/parisut.com/public_html/shoponline/vqmod/vqmod.php on line 329Unknown: preg_replace(): The /e modifier is deprecated, use preg_replace_callback instead in /home/paris/domains/parisut.com/public_html/shoponline/vqmod/vqmod.php on line 329Unknown: preg_replace(): The /e modifier is deprecated, use preg_replace_callback instead in /home/paris/domains/parisut.com/public_html/shoponline/vqmod/vqmod.php on line 329Unknown: preg_replace(): The /e modifier is deprecated, use preg_replace_callback instead in /home/paris/domains/parisut.com/public_html/shoponline/vqmod/vqmod.php on line 329Unknown: preg_replace(): The /e modifier is deprecated, use preg_replace_callback instead in /home/paris/domains/parisut.com/public_html/shoponline/vqmod/vqmod.php on line 329Unknown: preg_replace(): The /e modifier is deprecated, use preg_replace_callback instead in /home/paris/domains/parisut.com/public_html/shoponline/vqmod/vqmod.php on line 329 Virgin cold pressed coconut oil 90 ml. 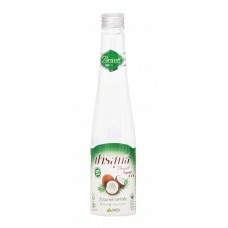 Home » Virgin cold pressed coconut oil 90 ml. 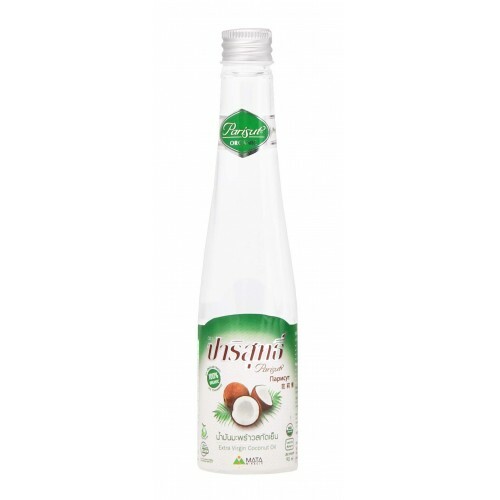 Virgin cold pressed coconut oil 90 ml.